Exeter College will welcome members of the University plus seven University honorands, including film director Martin Scorsese and scholar and TV presenter Professor Mary Beard, ahead of the 2018 Encaenia ceremony in June. At the ceremony, honorary degrees will be awarded to Professor Mary Beard, Sir Matthew Bourne, Lord David Neuberger, Professor Helga Nowotny, Professor Robert Putnam, Mr Martin Scorsese and Lord Nicholas Stern. Before the ceremony the honorands will meet with members of Exeter College and the wider University in Exeter College’s Fellows’ Garden or Hall for Lord Crewe’s Benefaction, before processing along Brasenose Lane, through Radcliffe Square, and into the Sheldonian Theatre. Professor Mary Beard is Professor of Classics at Cambridge University and a Fellow of Newnham College. She is Classics editor of the Times Literary Supplement. She is an exceptionally distinguished historian of Roman cultural history, internationally recognised as a leader in the field and with a long record of highly original and influential research. Her work on Roman religion, for example, helped to reshape the study of ancient religions across and beyond the classical world. Her more recent work on humour opened up a new field in the discipline. Sir Matthew Bourne is known and admired across the world for his remaking of old works – most famously his all male Swan Lake that has enjoyed global success for over 22 years, but also his Nutcracker, Sleeping Beauty, Car Man (a reworking of Bizet’s Carmen), Edward Scissorhands and most recently a reimagining of the Powell and Pressburger film, The Red Shoes. It is Bourne’s Swan, Adam Cooper, who featured on the cover of The Oxford Dictionary of Dance and whose performance on stage at Covent Garden represented the highlight of the adult Billy Elliot’s career in the eponymous film. Lord (David) Neuberger was President of the Supreme Court of the United Kingdom until retiring last year. His legal career to the summit of the judiciary is remarkable, and reflects his exceedingly high intellectual standards and analytical abilities. He has made numerous key and defining decisions across the full range of jurisprudence, contributing both to the excellent state of English law and to its status as the world’s choice for commercial law. He is also unique amongst the most senior judges in that his first degree was in chemistry, which he studied at Oxford. Professor Helga Nowotny is Professor emeritus of Social Studies of Science, ETH (Swiss Federal Institute of Technology) Zurich. She has authored or co-authored significant books and papers in the field of the science and policy relationship covering topics such as scientific controversies and technological risks, social time, coping with uncertainty, self-organisation in science, and gender relations in science. Her 1989 book Eigenzeit (which translates as Time: The Modern and Postmodern Experience) has been translated into several languages. Professor Robert Putnam has taught at Harvard University for decades and was Dean of the John F Kennedy School, educating generations of social scientists and political leaders. He is currently the Peter and Isabel Malkin Professor of Public Policy. He has been widely recognised as one of the leading scholars in social research on contemporary social and political developments, advancing social sciences and public understanding of the importance of civil engagement. Mr Martin Scorsese is an American filmmaker whose career now spans more than six decades. Scorsese has made several films – Mean Streets (1973), Taxi Driver (1976), Raging Bull (1980) and Goodfellas (1990) among them – that have become acknowledged landmarks in the history of the cinema. He has received numerous honours for his work, including lifetime achievement awards from the American Film Institute (1997) and the Director’s Guild of America (2002) and Academy Awards for Best Director and Best Picture (for The Departed, in 2007). In 2005, Scorsese received France’s highest honour, the Grand Cross of the Legion of Honour, and in 2013 he became the first visual artist to deliver the prestigious Jefferson Lecture for the Humanities (2013) in Washington. 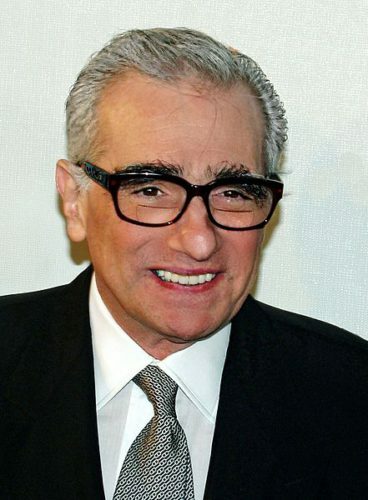 Scorsese has also been a leading figure in film restoration and preservation. In 1990, along with fellow filmmakers, he established The Film Foundation, which has helped to restore over 800 films from every era and genre. Lord (Nicholas) Stern is IG Patel Professor of Economics and Government at the London School of Economics, Head of the India Observatory and Chair of the Grantham Research Institute on Climate Change and the Environment. He has held previous posts at universities in the UK and abroad, including Oxford, MIT, the Ecole Polytechnique, and the Collège de France, in Paris. He was Chief Economist at both the World Bank (2000-2003) and the European Bank for Reconstruction and Development (1994-1999). He was Head of the UK Government Economic Service (2003-2007), Second Permanent Secretary to Her Majesty’s Treasury (2003-2005), and Director of Policy and Research for the Prime Minister’s Commission for Africa (2004-2005). He also produced the landmark Stern Review on the economics of climate change (2005-2007).